I got to shower this morning. Like, actually shower. It was glorious. I get a full liquid diet breakfast this morning. 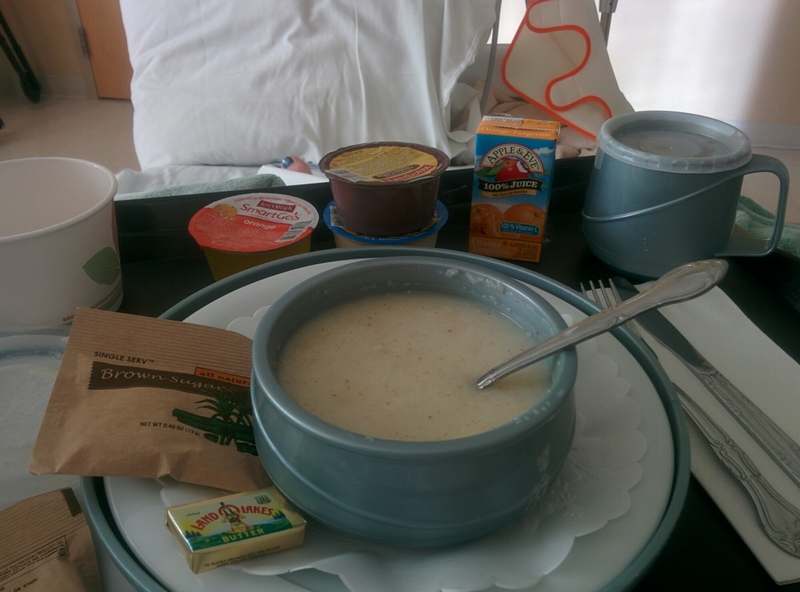 Pudding, cream of wheat, coffee and orange juice. They anticipate releasing me tomorrow. Thanks for all your wonderful (and funny) comments and texts. Love you all! Woo hoo!! It’s a feast!